An interview with Cathy Davis, executive director of Bayview Hunters Point Multipurpose Senior Services, Inc.
Saad&Shaw: Based on your experience, what does a nonprofit have to have in place in order for a private/public partnership to work? Cathy Davis: A non-profit has to have its house in order to work with other partners. For an African American agency the stakes are higher and the bar is raised higher because of the general lack of trust given to African American based agencies. You have to work harder with less and maintain your integrity at all times. That is just the way it is and surrendering to it allows you to be prepared in the ways you need to be. The public sector requires a great deal of accountability and as non-profit we had to prove our capacity to provide services and then be able to step into the partnership. You don’t have to be perfect, but you have to be willing to change and be more accountable. Each partner has to recognize their strengths and weaknesses and be willing to rely on the partner with the best expertise. At some point you have to trust each other’s expertise. Saad&Shaw: What are the challenges that a nonprofit may encounter in creating a private/public partnership? Cathy Davis: There are many challenges for a non-profit to be in a good negotiating position with public and private partners. The board has to understand the process and be willing to risk the agency’s credibility and finances along the way. Ultimately there are no guarantees: taking on large projects requires a leap of faith. Be ready to be called a “sellout” or a “greedy” non-profit by others who are not willing to partner with for- profits or the City. You will be tested and asked to support the efforts of the City: this goes with the territory if you want funding from them. You will be told you are “too small,” you have no experience doing this, or you are “over your head” – often in subtle ways. Saad&Shaw: What were the advantages of creating a private/public partnership? Cathy Davis: We needed each other to make the project happen. As a local non-profit we know what the community needs and were able to garner political support. The developer had the financial clout and expertise to build it. The City had access to funding, understood the process of working with other city departments, and was able to sell the project to city officials. 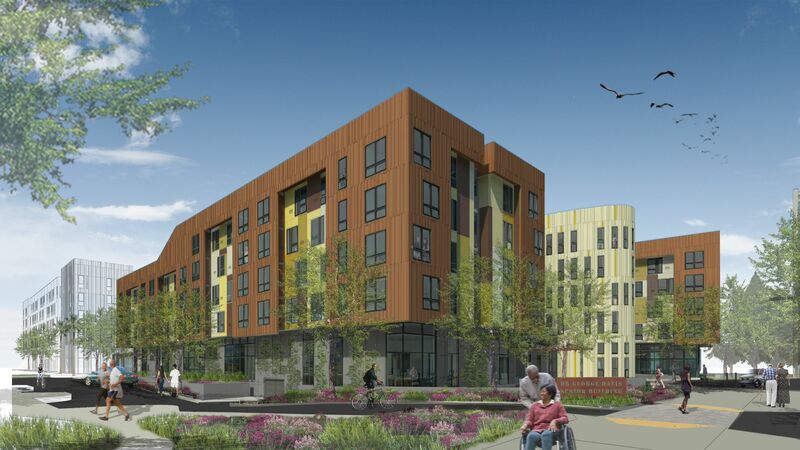 We were able to access $58million for our project through City, State and low income housing tax credits. Our agency had no history in housing development and we were able to create the partnerships to make this happen for the community.